I’m not a big video watcher. If given the choice, such as with news stories online, I prefer to read the article. Maybe it’s so that I can skim, maybe so I can interpret the story for myself instead of having the newscaster do that, and maybe just because reading feels more private whereas turning on a video immediately attracts the attention of my children. But I use video a lot when I teach. It’s such a powerful medium, hitting us with both sight and sound, able to add color and images and music to words. With some scenes in my novel, I’ve been thinking how much easier they would be to show in a movie. If you want tension in a movie, you have lighting you can dim, sets you can creepify, music you can make ominous, glimpses you can give of movement in the shadows. In the novel, I have to do all that with nothing but words. Last week my sister-in-law shared a video message from our church on her blog, which got me thinking about videos as rhetoric rather than just storytelling. And yesterday I stumbled across this one below that appeals so well to my personality. I love her message of individuality within religion, of how she says she thought God wanted her to be a certain way and then she realized she “totally made that up.” And I love the way it’s paired with a green bird on her finger, a painting of a female matador, and all these other visual glimpses of the unique individual she is. If I were to create a video expressing my perspective on being a Latter-day Saint (LDS), or Mormon, I’d want it to be a lot like this. (Except different, obviously, since the point here is uniqueness.) And I’d want to share it not just with those who aren’t Mormon but with other Mormon women too. Sometimes we do get wrong ideas, interpreting words the wrong way. Sometimes we get stuck by those wrong ideas, like the LDS women I sometimes meet who feel like they “can’t” or “shouldn’t” have their own pursuits, etc. Sometimes the simple yet powerful medium of video is perfect for providing new perception. But it’s also great for someone like me who teaches two evenings a week and writes novels at home during the day, trying to balance my own ambitions with raising young kids. The message I take from the video is reassurance that I’m okay. What video messages have you seen that used the medium well? When do you think the audio and visual components of video are necessary to help words mean more? Thanks to a few vague kitchen product reviews, an unfortunate purchase, and a simple-but-elegant mechanism, I think I can now prove the essentialness of how and why. Last weekend, I bought oat groats. I had never even seen what they look like, but in reading about rolled oats versus steel cut oats, it suddenly struck me that it was another case of “this OR that” and I abandoned both in favor of flaking my own oats for the freshest possible oatmeal. Um, only trouble? Equipment. I’m not sure how pioneers and others rolled their oats, but when I searched how to do it, I found relatively few options. The reviews I read made them all sound more or less equal for flaking oats, as in “they all get the job done, no problems,” so I bought the cheapest one and figured that would do it. After all, I only need to roll about a cup of oats at a time for oatmeal. No sweat. Oh, not so. That cheapest roller (cheap at $45 — still a large chunk of money!) arrived in the mail last Monday, and it felt too light, too flimsy. 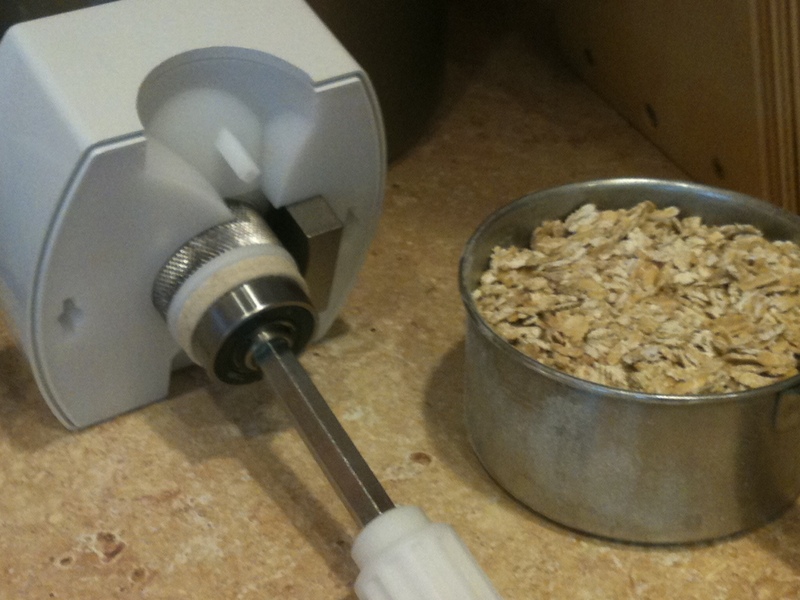 It rolled the oats, but they were thicker than I expected (even though I’m used to old-fashioned oats) and half the time I’d be turning the crank and nothing would be coming through because all the groats were jammed at the top, refusing to be squashed between the rollers. 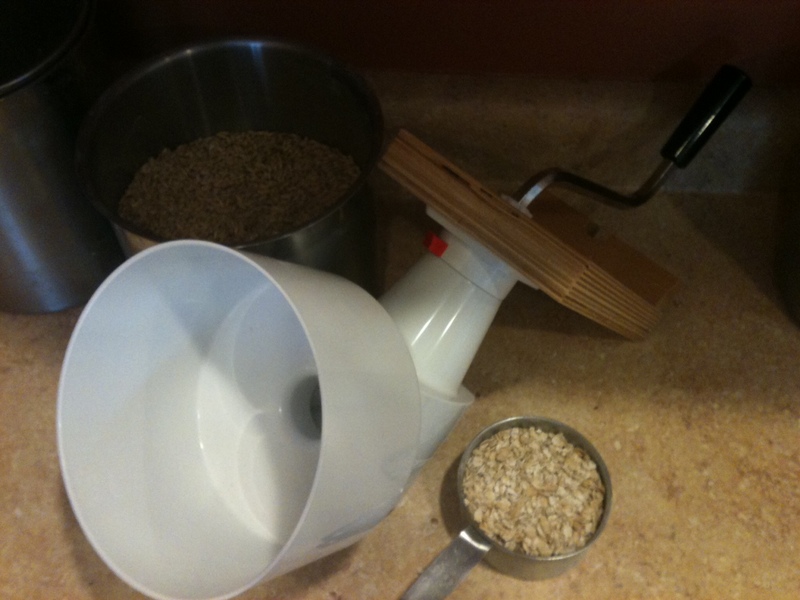 I had figured it would take five minutes or less to roll a cup of oats. With that thing, in five minutes I only had a third of a cup. Bless husbands who can say such things! Neither of us likes to spend money, and I’d been trying to be frugal, but I am so glad he nudged me toward a better quality purchase. Yesterday I drove to a Bosch Kitchen Center and bought the display model flaker mill (they were out of boxed ones, and I was thrilled to get a discount for the used version). It was heavy in a good way — substantial, quality — and I was excited to test it out. Today I hooked it up to my hand crank (too lazy to drag out the KitchenAid for just a cup of oats), and it worked marvelously: a steady stream of thinly rolled oats poured out of the bottom. Then I dismantled it and discovered the difference. In the cheap unit, how it worked was that two rollers turned toward each other on the theory that they would pull the oats down between them and squash them, but that had a number of problems. Why? First of all, you could only get the oats as thin as the space between the rollers, but if the rollers were too close together the oats would never go down between them in the first place. That’s why I kept turning the crank and sometimes got a few, sometimes none, because you had to wait until the textured grip of the rollers caught each groat just right. In my higher quality version, one roller presses the oats against a steel plate, the space between the roller and the plate narrowing to create a funnel that forces the oats down at an even pace. 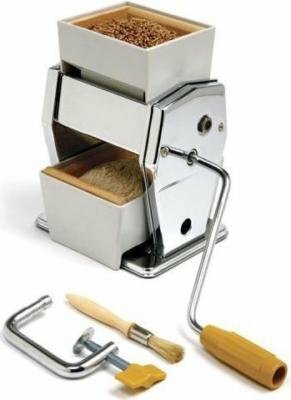 So here’s my writing analogy of the week: to really figure out what makes something better — whether you’re reviewing kitchen equipment or a movie or novel, etc — you have to take it apart and figure out how and why it works. If I’d come across a review explaining to me the difference between the $45 model and the $80 (used) model, I wouldn’t have bothered with the cheap one in the first place. I’m not a reviewer myself, but what I appreciate about book or movie reviewers who do their job well is that they don’t just sum up the story and whether or not they liked it, but they dissect it and describe the how and the why. How does the writer keep the audience hooked? Why does the writer include certain elements? Also, as a writer, analyzing the how and the why of my own story is absolutely the key to improving it. How would my character react in this situation? Why is this scene crucial? Anyhow, you get the idea. Any thoughts? Run across any great reviews lately? *In case anyone’s interested, here is the rest of the price story: even at Costco, I felt like I was paying way too much for relatively few rolled oats. With the oat groats (which I bought in a 50# bag from a grain distributor for $28), it’s not only fresher — no chance of being rancid — but 1/2 cup of groats rolls into 1 cup of oats, so I’m getting twice as much for the same price. This means that even my $80 gadget will pay for itself pretty quickly since we eat oatmeal twice a week and I make my own granola. Hooray for tools that provide both better health and spending! This week I had an insight about storytelling and life (isn’t it amazing how often those go together?) that has been a long time coming, and I wonder if it’s as true for other people as it is for me. I come from a stubborn gene pool, so that might have something to do with it. “It” being the fact that I’ve always resisted either/or choices. My preschooler does it all the time, too. “Do you want one or two?” I’ll ask him. “Three,” he’ll reply. 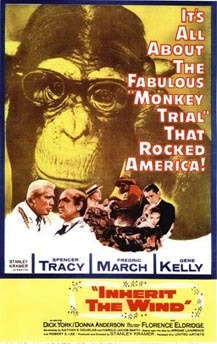 When I was in high school and we were reading/watching Inherit the Wind junior year, the teacher wanted to hold a debate between Creationism and Darwinism. 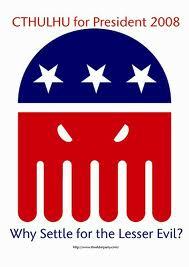 I stubbornly created my own third team: those who believe evolution is part of God’s plan of creation. It wasn’t until Hubby and I watched a documentary this week about a round-the-world race that I started to realize maybe there’s more to this either/or dilemma than stubbornness — and that it might be the key ingredient for a good story. The documentary, called Deep Water, focused on an Englishman in the ’60s who decided he wanted to enter the race to be the first man to sail around the world without stopping . . . even though he had no real experience. He was sort of a bookish type (to which I can relate!) and had read enough about it that he felt confident he could do it. So he found an investor and jumped into a contract where the other man would finance a boat, etc, so long as Crowhurst (the bookish would-be adventurer and father of four) did not drop out of the race. If he did, the investor would claim everything and Crowhurst’s family would go bankrupt. Where the either/or came into play was once the race began. His boat sprung a leak, requiring him to bail out the water by hand, and there was no way he could sail the treacherous southern oceans in a leaky boat. Suddenly he faced almost certain suicide if he kept going or financial ruin if he went back. Not such a great pair of choices, huh? Another example came in my email box via my “Daily Insights” subscription back in January. It asked you to suppose that you were driving along and spotted three people waiting for a bus: an old friend who once saved your life, an old woman in desperate need of a hospital, and the perfect partner for whom you’d waited all your life (apparently you are omniscient in this scenario and can see into the future; we’re just gonna go with it, I guess ;)). The dilemma? You only have one seat in your car. Who gets it? Awesome, right? I couldn't resist throwing this in! Starting to see the pattern? Good stories require tension, and tension often comes from battling between contradictory and equally unappealing options. It’s that whole lesser-of-two-evils thing. Um, who really wants to pick either “evil”? I gave the email scenario to my intermediate writing students to puzzle over, and they said that obviously the old woman was the “right” choice because it’s the only humane choice. If she needs a hospital, you can’t leave her waiting for a bus. And the old friend would understand, right? But what about your perfect partner? I don’t mean to sound callous toward the old lady, but can you really jeopardize a lifetime of happiness? (Being married to my best friend, I can testify that finding “the right one” makes all the difference!) What if you never see that person again? So again, it’s a choice where no matter which one you opt for, the consequences aren’t so hot. The trick to it is to hold out for another choice, or create one yourself. My preschooler comes up with his own number of how many (of whatever) he’ll accept. I insisted on having my own third debate team in high school. And with the daily insight, the email suggested that you have your old friend drive the old woman to the hospital while you stay and wait for the bus with your perfect partner. Once we see The Other choice, it becomes almost obvious, right? “How could I have missed that?” Right? Well, I argue that it’s the same thing with great stories and the very best of endings. I think a great story keeps you on the edge of your seat because all the available options are horrid! You don’t want the main character to end up dead/dismembered/unhappily-married/financially-destitute/estranged-from-her-family/orphaned/any-other-number-of-awful-consequences; but you can’t possibly see how she can avoid it! Oh, the glorious tension! Oh how your heart races! Oh the angst and the drama and the perfect recipe for a good story! One example that comes to mind is Melissa Marr’s Wicked Lovely that I blogged about a year or so ago, raving about the excellent job she did in finding a compromise between the seeming contradictions of two love interests and career versus love. The ending of that book was fantastic because it wasn’t one of the obvious choices. Now it’s just a matter of coming up with the right one for my own manuscript. It gets closer every draft, but I think that once I hit on the perfect solution, it’ll be obvious. I just have to keep stubbornly holding out, confident that eventually I will think up a best option. What do you think? Have you come across this in your own life? What stories have you heard/read/watched/lived through that exemplify the principle of rejecting either/or? On Friday, my friend Chersti posted a great blog article about successful love triangles, using the movie Casablanca to explain five guiding principles for awesome angst: equal screen time, winning moments, unknown outcome (as opposed to obvious outcome), equal chemistry, and character growth influencing choice. My only question was . . . what do you do when things get more complicated, when there are more than three characters involved and some of the sides are unrequited (i.e. unequal chemistry)? Because I might sort of have that going on in my novel . . . 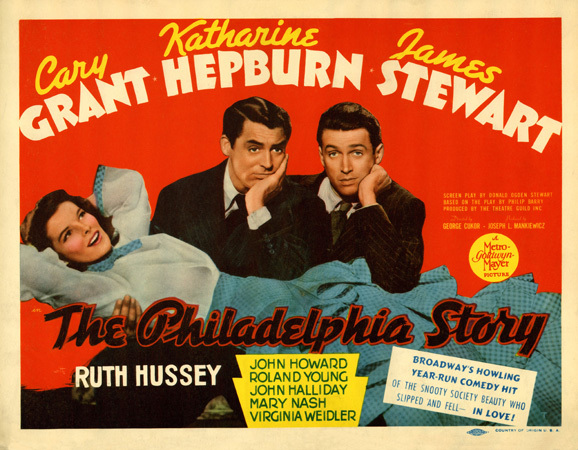 So, to copy Chersti’s great post, I thought I’d look at an old movie as well: The Philadelphia Story with Cary Grant, Jimmy Stewart, and Katherine Hepburn. Things are complicated, all right. 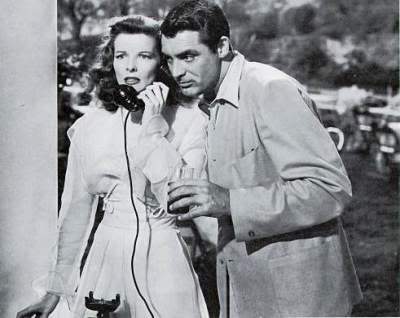 Cary Grant loves his ex-wife Katherine Hepburn, who thinks she loves her fiance “George Kittridge,” who worships Katherine Hepburn, who has an alcohol-induced fling with reporter Jimmy Stewart, who is infatuated by her but loved by “Liz” his photographer partner. To sum up: Cary Grant and Jimmy Stewart and “Liz” the photographer all suffer from unrequited love through a good chunk of the movie. Also: it doesn’t feel like we’re ever really meant to root for George the fiance. The story sort of stacks the cards against him. Some of Chersti’s principles still apply, I think. While there’s not much mystery about George losing in the end, there IS mystery on Katherine Hepburn’s end. She truly doesn’t know that she doesn’t love George; she has to figure it out through the course of the movie as she grows as a character and finally decides between three guys in the end. 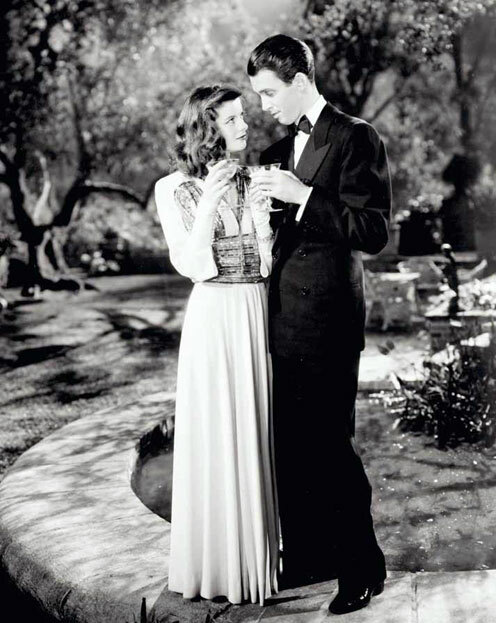 And because Cary Grant and Jimmy Stewart both have plenty of screen time and plenty of “winning moments,” there is a bit of a mystery about which of them Katherine Hepburn will choose. Both of them have proven to be equally worthy of her in different ways. But what’s especially great about the unrequited aspects of the triangle is that even if those poor characters aren’t stirring their intended’s heart, they are stirring the audience’s. We feel so bad for Liz and admire her for the way she handles rejection. 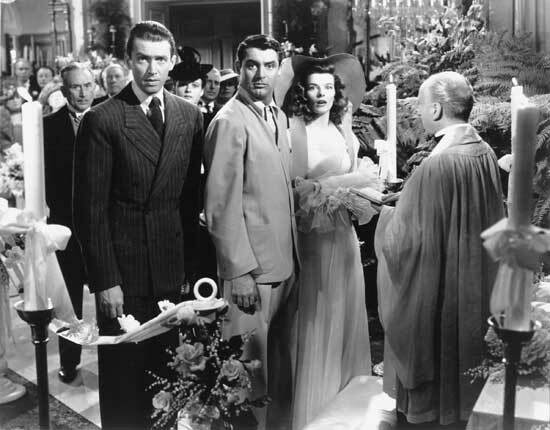 Our hearts break when Cary Grant watches Jimmy Stewart propose to Katherine Hepburn because we see the agony on Cary Grant’s face and have come to admire him as a character, too. I think that often “chemistry” is something that those on the outside can see better than the people on the inside. It’s clear to the audience almost from the beginning that Katherine Hepburn doesn’t belong with George. It’s clear to the other characters, too. 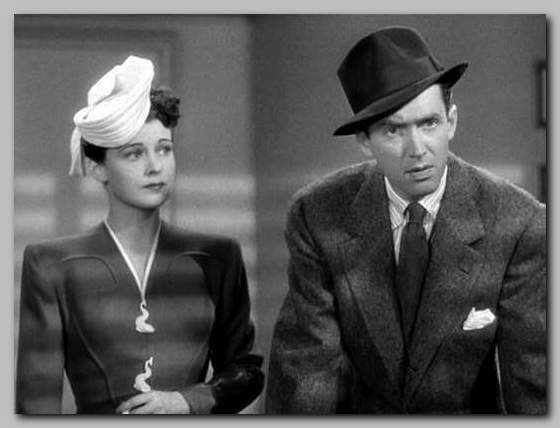 It’s also clear that Jimmy Stewart belongs with Liz. 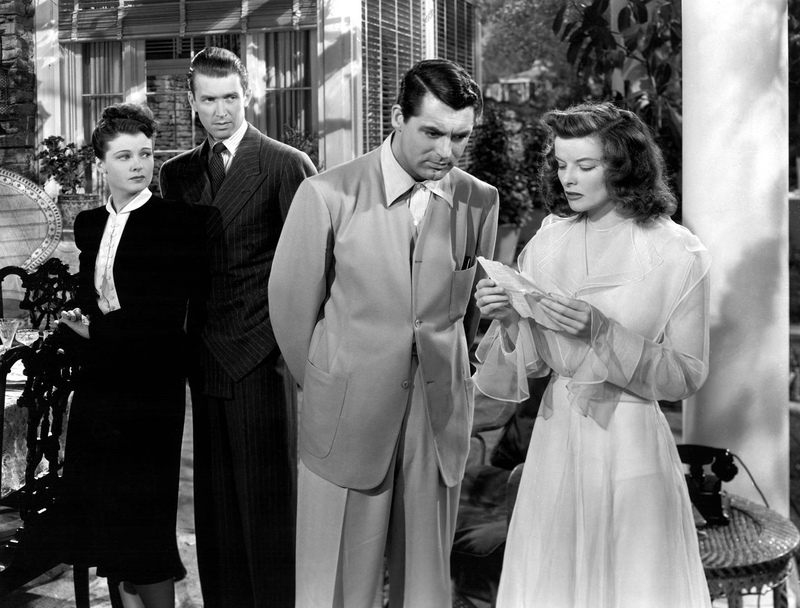 And while we wonder about Cary Grant because he’s the ex (read: failed once already), still the audience and the other characters realize he’s Katherine Hepburn’s match before her character does. In that way the outcome is obvious, but it’s so clearly not obvious to the characters inside those relationships that the tension of the movie is created by wondering whether or not and how and how soon they’ll see things clearly. And that’s sort of true to life, isn’t it? With my first boyfriend in college, when I would call and talk about him with my mom, she could tell without ever having met him that he wasn’t right for me. She was nice about it, just dropping subtle hints like, “Isn’t that kind of a red flag?” but the trick was that I had to grow and realize things about myself before I was ready to see what she saw and break up with the guy. Nicely, the things I learned from that experience helped me recognize my hubby when we found each other later on. 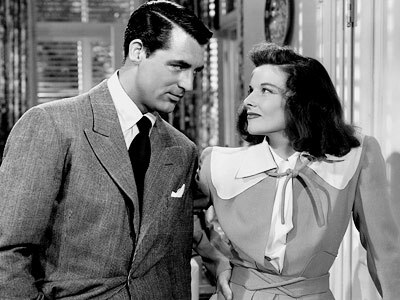 Just like Katherine Hepburn’s character learns enough about herself to realize that she loves and needs and wants Cary Grant. Ta da! Or really . . . ditto. Because it turns out that all I’ve done is reinforce Chersti’s post. Her five aspects seem to hold up even in complicated situations. And maybe what I’ll add is that the most important chemistry of all for a character is with the audience. If the character gets enough screen time to shine with winning moments and to prove to the audience that he/she deserves a chance with his/her love, the unrequited aspect will just make us sympathize more, make us root for that character more, and make us hope that his/her love will treat him right by the end. On the other hand — and here’s a whole different problem — what if the unrequitedness isn’t going to be remedied in the end? What if you’ve got an odd number of characters and one of them, like George, just obviously doesn’t fit in the match up? That happens to be the issue in my WIP. 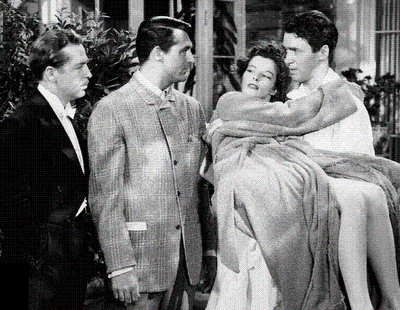 In The Philadelphia Story, the solution was to make George less likeable than the others. He’s an okay guy, but just okay. Not a Cary Grant or a Jimmy Stewart. And he doesn’t really get much screen time or any winning moments. By the end, in fact, his nobility of character is tested and he fails. What if I don’t want to handle it that way? What if I want to let a certain character have winning moments, prove to be a great guy, etc, but his growth through the book teaches him that he’s not the right guy for the girl he’s pined after and he hasn’t met the right one for him yet? Maybe that’s where it does get complicated. How do you show that the growth is more important than being in a relationship? Let me know your thoughts on any of this, including books or movies that do love dodecahedrons well. 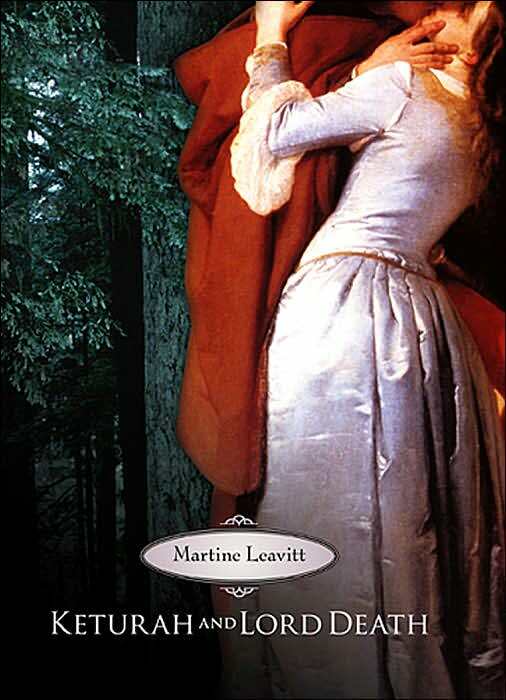 Last summer I attended a writing conference where Martine Leavitt, author of Keturah and Lord Death and other amazing YA novels, was in charge of the workshop I participated in. One of Martine’s biggest suggestions for all of us was to figure out what our characters want — what their concrete desire and their emotional desire are — and to make it clear from the very first page. I’ve been trying, and I’m gradually getting there, but the past three Saturdays have finally convinced me that Martine was right: this is crucial. My story won’t work if those objects of desire aren’t in place. Three Saturdays ago, I met with other writers for a critique and they told me the first 1/4 of my novel is too slow. Not an insurmountable problem, but the trouble with a problem like that is getting to the root of it. Is it that I’ve started at the wrong time in the story? Have I used the wrong set of scenes to introduce the characters? Is it just too many scenes? I cut 4,000 words from the beginning right after the critique, but I didn’t feel like that solved it. Um, yeah. I was wrong. The first scene where they’re racing in to save the thrashing sacrificial victim I didn’t count, because it feels like a prologue, so I started my analysis with the first character-driven scene: where we see Watson talking to a patient and then going in to intervene with Holmes, who’s been firing a gun in the house. Here’s what we learn about them right away. Watson wants to get married and leave, but he cares about Holmes. Holmes wants a challenging case — he’s miserable without one — but he also doesn’t want Watson to leave and he doesn’t want to work without Watson, though Watson’s ready to split ways. We learn about Holmes’s other emotional object of desire — Irene Adler — a little bit later, but knowing the conflicting desires of Holmes and Watson is what gets the movie started. And then, of course, the villain’s desire to take over the world throws in the main conflict that moves the plot, and we know that Holmes will fight the villain because we already know that Holmes desperately wants a challenge. Fine. So maybe character desires matter. And I think it also matters that the two main characters have conflicting desires. The supreme example I always think of is in a romantic comedy where the emotional desires match (they’re attracted to each other and want each other) but the concrete desires conflict. Think of You’ve Got Mail. I know that came out a while ago, but it’s the epitome of this in my head. She runs an independent bookstore. He runs a bookstore chain that is putting her out of business. They both want to be successful, but it’s not possible for both of them to get what they want. I hated that she couldn’t keep her bookstore in that movie. I thought that was so unfair. 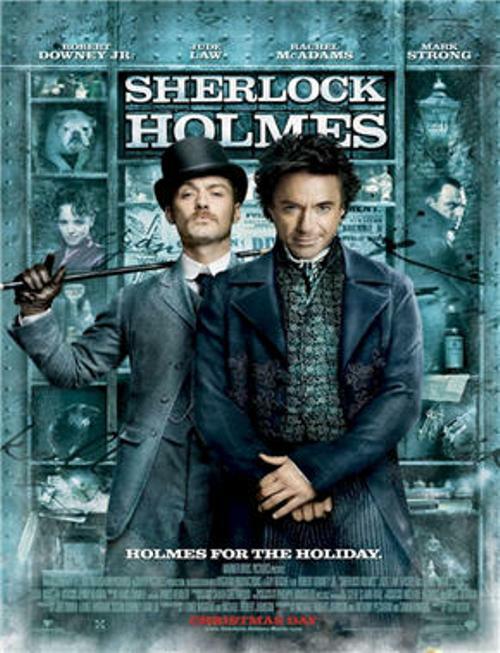 But then, Holmes doesn’t get all of his desires, either (though I won’t tell you which ones in case you haven’t seen it yet). I think it often happens that a character has to sacrifice one desire, either emotional or concrete, for the other. Sometimes a noble character who wants what’s best for the kingdom or some other greater good (concrete desire) will sacrifice his or her personal (emotional) desires. And while we hate for it to be that way, we also need it to be that way. So fine. Holly, you’re right, as usual. The thing that’s dragging down the first 1/4 of my novel isn’t the scenes themselves, it’s that we need to know what the characters want and how their desires conflict. We need to wonder how there can possibly be a happy ending — because a happy ending is entirely dependent on what the characters want. At least now I know where to start with my next set of revisions. What do you think? Have other great examples of how character desires drive a story? Even though I teach college composition, not creative writing, it surprises me how often the two overlap — how often the principles of good writing pertain to both. For example, this week my beginning class has been choosing topics for their researched argument papers, so we’ve talked a lot about what makes a good topic. It’s an important first step, after all, because their grades are at stake. A “bad” topic might make an A impossible. Meanwhile, I read some of the report drafts of my intermediate class and realized that we needed to have an immediate discussion about how to avoid “dry, yeastless factuality” (borrowing Yann Martel’s description from Life of Pi). Several of the reports gave one fact after another, either putting me to sleep or making my head spin from too many stats in a row. Because they “publish” their reports online for a real audience (besides me), we needed to remedy that problem ASAP. The intermediate class’s reports needed some life, and the beginning class needed to know how to start breathing life into a topic. 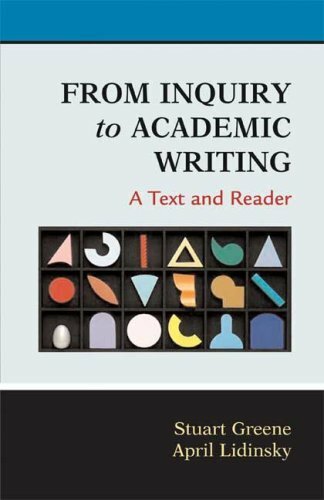 I can’t take credit for this breakdown, because it comes from the textbook my beginning class uses, called From Inquiry to Academic Writing, but here it is. Having a good topic isn’t enough. You also need to decide on a situation that illustrates the topic and shows what’s at stake. Then you need to show the issues involved, or in other words what conflicts are preventing the situation from being easily resolved. Finally, you need to ask a question that sets the direction of the writing — the possibilities for resolution that you’re going to explore. I showed them an article from a year ago in The New Yorker about healthcare reform (Atul Gawande’s “Getting There from Here” in the Jan. 26, 2009 issue) that began by describing situations that had led to healthcare reform in other countries, followed by describing the current situation in America, with 57 million Americans owing medical debt, illustrated by one particular example of a woman having an emergency C-section and owing $17,000 for it. Then it described the obstacles to reform, how most everyone agrees it’s necessary but can’t agree on how to do it because of various conflicting opinions and perspectives. Then it posed the question, “What can we learn from the path other countries have taken to healthcare reform?” The remainder of the article explored those comparisons. We discussed how this is the key to make your writing “not boring”! This is how you create tension and make your reader want to keep reading. This is how you avoid being dry. My current WIP borrows the topic of growing up from Peter Pan and asks the question, “What does it mean to grow up?” But in my first draft or two, I’d skipped too much of the situation and issues, so I was posing the question and exploring it without real tension behind it. I had to back up and really focus on the situation and the issues, really bring in the tension — what’s at stake? what are the conflicts? — so that the question mattered. In fact, as an intermediate class, that’s what we ended up titling the breakdown: How to Make Your Writing Matter. If it doesn’t matter, why would anyone bother to read it? What do you think? What have you read that’s done this particularly well? How have you noticed that these four pieces impact writing?